Disclaimer: I'm not a professional and you should not take anything written in this article as advice. You should make your own research before doing anything!!!! I simply share my observations and information I gathered online. Microdosing is a growing trend among artists, entrepreneurs, and pretty much anyone with an interest in bettering themselves. It involves taking very small doses of psychedelic drugs, most commonly LSD or psilocybin mushrooms, in a semi-regular schedule. The idea is to take such small amounts that you can go about your daily life and notice the effects barely enough to experience a subtle increase in productivity, creativity, focus, and awareness. Our body and brain are under the effect of Drugs, hormones, and Neurotransmitter all the time, they have both physiological and psychological effects. Most people can't start their day without a dose of caffeine. We like our occasional social drug whether its weed or alcohol. Don't forget about all the prescription drugs which are so common today. Sometimes we fall in love or get depressed. Sometimes our cortisol levels are high because of the lack of sufficient sleep. We would like to think that we control our thoughts and actions but the truth is that those chemicals which constantly get transported from one place to another in our body change the way we feel, think and perceive things. Wouldn't it be wise to use it to our advantage? 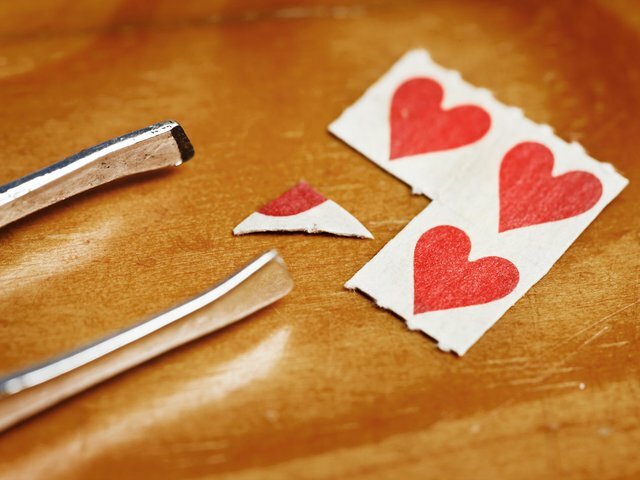 The idea that a really low dose of a psychedelic drug may have an effect on our emotions and thoughts without having a psychedelic trip is not that crazy. The literature and science are not deep enough since most of the psychedelic drugs labeled in a "legal grey zone" in most countries (even tho there are few books like the "psychedelic explorers guide"). But a simple google search will show you that there are thousands of people practice micro-dosing worldwide. So what those people tell us? 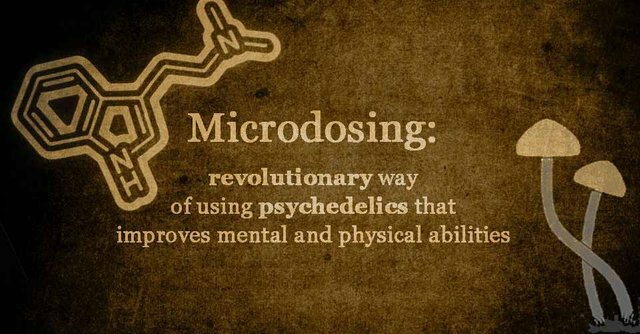 Almost all of the microdosing experiences you will read about will sound positive and "beneficial". People will tell you that it makes you more energetic/awake and maybe "present", they usually feel happier or maybe a better wait to say it will be appreciating life and loving. Usually, they will also speak about the increased state of productivity and creativity. Again, it hasn't been studied enough so you can consider those experiences as individualistic. We cannot know how it will affect every single individual and what are the negative effects. As far as my quick research went, I couldn't find any "overwhelming" negative experience and sometimes people will note small things but generally, most of the experiences seem to be positive with no known negative effect. If that's true, it's understandable why artists, entrepreneurs, and coders in Silicon Valley are so interested in this practice. Actually, it can be valuable to almost every person seeking to improve. Some people will even say that it might replace the harming legal drugs like Adderal, Methylphenidate and many others. How did you plan to microdose? My plan was to do it "by the book" (as much as possible), it seems like most people would suggest doing it in the same way. They all suggest to take it once every few days for a long period of time. I planned on microdosing for 10 weeks, enough time to observe long-term changes in my life. Taking a dose every third day, when the idea behind it is giving the body enough time to weaken the resistance from the dose, psychedelic drugs tend to build resistance really fast (one of the reasons why you can't take them every day and get addicted). Day 1: dose; Day 2: observe changes; Day 3: rest. This is the model I used to keep track of what I'm doing. Of course, I wanted to observe and see how it effects me and write everything. I decided to keep an eye on 4 things while microdosing: Creativity, Productivity, Emotions, and Awareness (you can call it spirituality). In order to do that I would also do the same routine, I do every week and keep on meditating, working out, eating healthy and all the other stuff I do anyway and see how it affects them and my progression. you must have asked already what substance I decided to use for this Experiment? The first time I tried it I already noticed that something is different though it wasn't easy to point out what it is... a general feeling of being "clear" or "lucid". It was pleasant, and the best way I can describe it to myself is that the mental fog I usually feel went away. With that comes the feeling of being more present sometimes and being more energetic and awake but differently from caffeine though I also drank a cup of coffee every day with the dose so they might actually work together. This is the only thing that was easily noticeable at the moment and I'm pretty sure is not placebo. This feeling was really noticeable in the beginning but after 3-4 times I felt like it might have gone away or weakened, I took it as a sign to maybe up the dosage which I was ready for but not that early. After a few more times, I had to up the dosage again and realized that if I keep going that way I won't have enough for the 10 weeks so I decided to do it for 5 weeks. Point taken though - if you are going to try it be ready for your tolerance to Increase faster than you might think but again... this is individualistic. So this lucid feeling was noticeable but what about the other stuff? The productivity, creativity and all the other things. Well... there were changes, big changes! These 5 weeks of microdosing were the most productive weeks I had in the last year. My team in startup company grew, I learned many new things and improved as a person, took more responsibility and tried new things. You could say I left my comfort zone a lot. Rarely I missed a workout, meditation or something which is part of my routine. Generally speaking, I started to see positive results in most aspects of my life. I could focus on things much more clearly and easily, maybe this is the changing factor. Emotionally I felt great, it's hard to remember exactly how I felt but I don't remember any negative feeling taking control over my mentality. I do remember feeling more confident and just ready. Guess I felt good most of the time. Creatively it's hard to say I noticed any change, as far as decision making I was ready to try different stuff and new things. But I can't really point to something and say I felt more creative there. Maybe I need more creative activities in my life... I wasn't posting anything all this time (that's a topic for another post). Sometimes at moments, I could feel more aware especially with this "lucid" feeling I was talking about. It was easier to meditate and focus on the present moment. Maybe I was more aware of my thinking process, noting the "irrelevant thoughts" and trying to reframe them to a better-thinking process which much more question making rather than just ideas. Well... the problem is that all those things are good! But I can't really be hundred percent sure that they are the result of the microdosing. If you ask me I'm sure that some of them are or maybe the microdosing helped. But... I can't really prove it and yes... some of those things might just be a placebo effect or maybe my mind trying to attribute those results to the microdosing. I'm saying it for two reasons, the first reason is that the momentum of few of those things carried even when I stopped microdosing (some of them not). The second reason is that I don't want to be biased and just attribute all those things to the microdosing. What's my personal opinion? Yes, the microdosing made me more productive and focused, generally made me feel better. The "Lucid" feeling I felt I can attribute to this for sure. Will I microdose again in the future? Probably. Much more to experience and learn. The experiment isn't over yet. Are you suggesting to try it for ourselves? Go do your own research and find out for yourself! I'm not suggesting anything. Hahaha, you always have a comeback .. But my concern here is with the feedback system say something like insulins. The body stops producing it when it is introduced from outside. And then there is complete dependency. What if something of that sort happens? Hehe, or maybe it's the fear of getting into this stuff. I don't trust myself with such experiments. Thanks brother, I need to educate myself with some information. I had been following tue myth about insulin. Really cool post. I'm glad you had positive effects. I hope to start my experiment soon haha. Glad you posted, peace. Congratulations! This post has been upvoted from the communal account, @minnowsupport, by Lion from the Minnow Support Project. It's a witness project run by aggroed, ausbitbank, teamsteem, theprophet0, someguy123, neoxian, followbtcnews, and netuoso. The goal is to help Steemit grow by supporting Minnows. Please find us at the Peace, Abundance, and Liberty Network (PALnet) Discord Channel. It's a completely public and open space to all members of the Steemit community who voluntarily choose to be there. Visit curiesteem.com or join the Curie Discord community to learn more. This post has been selected for curation by @msp-curation by @clayboyn and has been upvoted and will be featured in the weekly philosophy curation post. It will also be considered for the official @minnowsupport curation post and if selected will be resteemed from the main account. Feel free to join us on Discord!